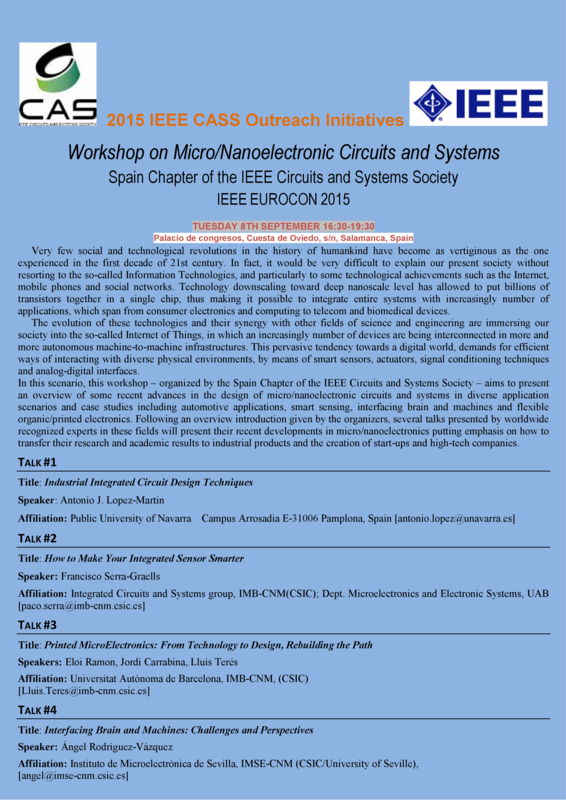 The Chapter organized the Workshop on Micro/Nanoelectronic Circuits and Systems in the context of the EUROCON 2015 conference held in Salamanca. A more detailed information is given here and a news published in IEEE R8 News can be read here. Dr. Evangelos Stromatias from the Advanced Processing Group of the University of Manchester gave a talk at the Seville Microelectronics Institute on the topic Scalability and Robustness of Artificial Neural Networks. The talk took place on September 11th 2015.